Marga, you state that Rob Bonta was the largest donor to the Committee. Are you forgetting Nancy O’Malley’s 3 $10,000 contributions, totalling $30,000? I know the Treasurer tried to keep it a secret but we did find it online as he directed us to do. Otherwise, great article. Thank you. Nancy O’Malley contributed money to the committee for the purpose of having a mailing done for her – you might have remembered receiving it. While some of the money from this contribution is kept by the committee, and some goes to the consultant that actually arranged for the mailing, the majority of the money is spent on printing and mailing the flier. So the money was given but with an unwritten earmark on it. Rob Bonta’s contributions to the committee are not earmarked for anything. None of these endorsed candidates will do a damn thing to change things. We simply can not afford business as usual as the country drifts further and further into corporate fascism. This web site likes to pose as though its progressive, but its endorsements are quite establishment oriented. Its endorsement of Libby Schaff, and failing to even mention the progressive grassroots campaign of Kat Brooks, is unforgivable. As is the pretense that the Green Party and its candidates don’t exist. If you think everything is going well in our country, and the only concern are Republicans and right-wingers, who are no threat in Alameda County, then fine, go along with these establishment picks. If you think there are fundamental problems in Alameda county that need to be addressed, you better start thinking and acting outside the box. We need real progressives and movement activists elected to shake things up and reform things. 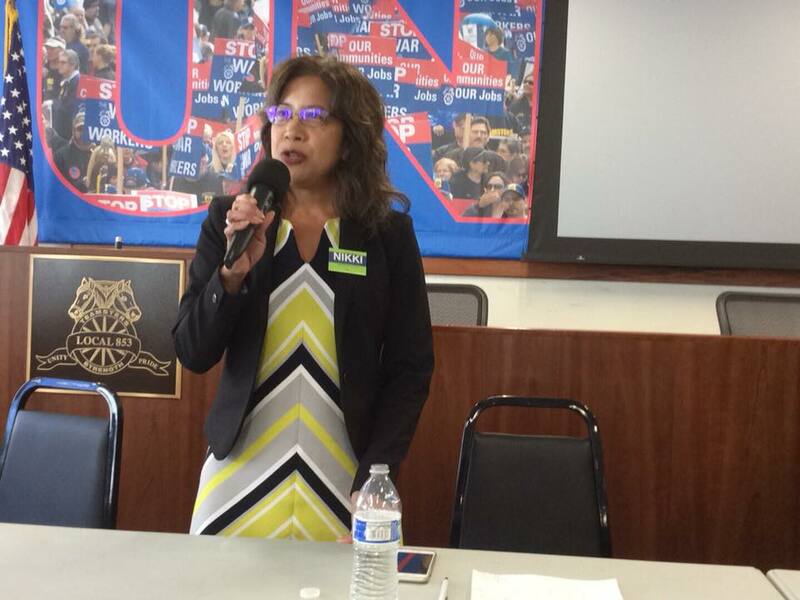 Mainstream Democrats are the establishment in Alameda County and will change nothing of consequence. This article is about the endorsements of the Alameda County Democratic Central Committee (ACDCC), not those of this website. The ACDCC only endorses candidates that are registered as Democrats by the first day of the filing period – Cat Brooks wasn’t, so she wasn’t eligible for the endorsement. But even if she had been, given the ACDCC’s penchant for endorsing incumbents, chances are that Libby would have been endorsed. There is only one candidate registered as Green that is running for local office in all of Alameda County, Aidan Hill who is running for Berkeley City Council District 7. Scott Donohue, running for re-election for Emeryville City Council, publicly changed his registration to the Green Party last year, only to quietly re-registered as a Democrat last spring. Please keep an eye for OUR recommendations and please feel free to leave yours below as a comment. Dublin San Ramon Services District is a relatively small, water board. You’ve listed me (Ann Marie Johnson) as an endorsed candidate, but you “don’t have a guess as to why”. I came and spoke to the committee membership at their meeting and responded to their questions. They in turn chose to endorse me even though I’m new to politics. I was also endorsed by Contra Costa County Democratic Committee, after going through their vetting process. I’m qualified. I listen. I’ve been on non-profit boards in the past and work in the environmental industry. I hope that I can make a positive difference, am I naïve in that regard? I hope not. I’m getting involved because I think I’ve sat on the side-lines too long. Ann, my comment wasn’t a dis on you but on the Committee. Once in a while they do endorse a candidate based on merit, but that is the exception rather than the rule.